​Even though I seem to have lots of food issues I'm always up for trying new dishes or something new. The past couple of years Kevin and I have added Indian food to our list of foods we really enjoy. We took it up a notch and have been making our own versions at home. 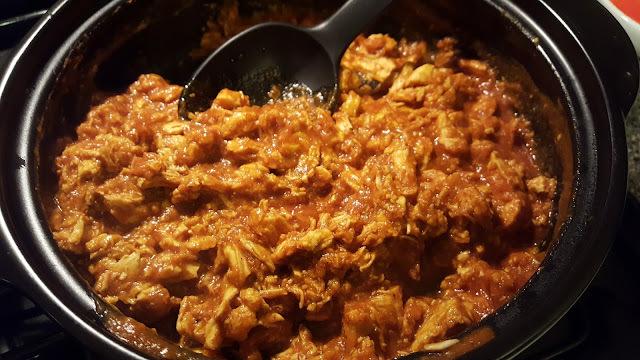 Well at least our own version of curried chicken. What really got us started was this Curried Potatoes with Poached Eggs recipe by Budget Bytes. This super easy curry dish was good with potatoes but with Kevin being all about meat we decided to adapt it. 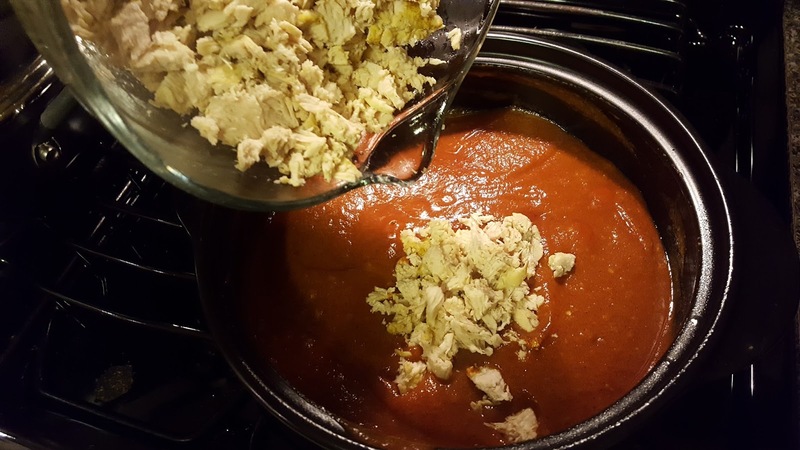 Since in the recipe you cook the potatoes and sauce separately then mix it together it adapts really well to switching up the protein. 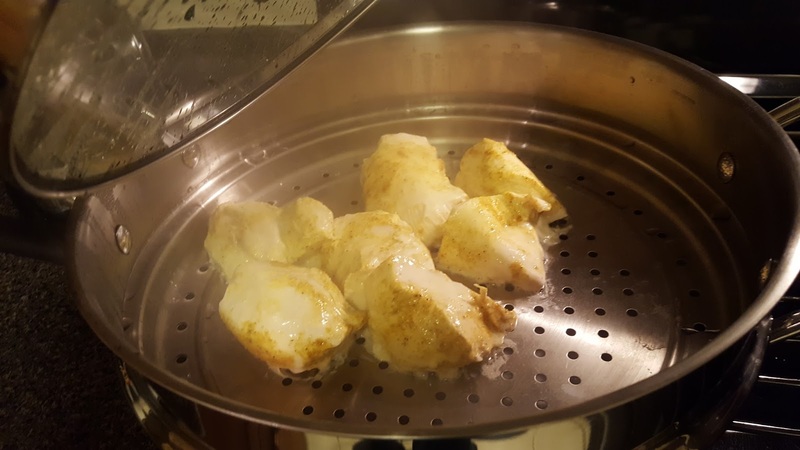 Using my Pampered Chef 12" Steamer we seasoned the chicken with curry powder to give the dish a little more kick and flavor overall. 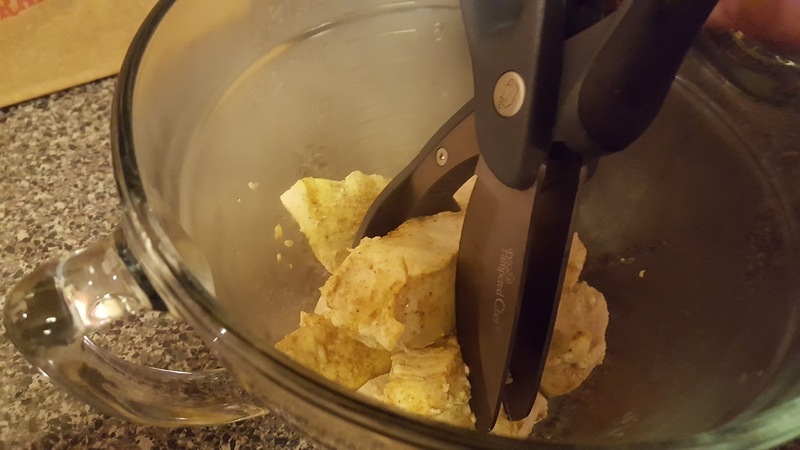 Then using the Salad Chopper (legit best thing for shredding your chicken) to shred/dice up the chicken while the sauce was finishing up. The adaptation to the recipe couldn't be any easier. Since we like to make the whole meal an experience we grab fresh naan or frozen, and Trader Joe's Palak Paneer. This time I also went crazy a splurged on veggie samosas from Trader Joe's as well. 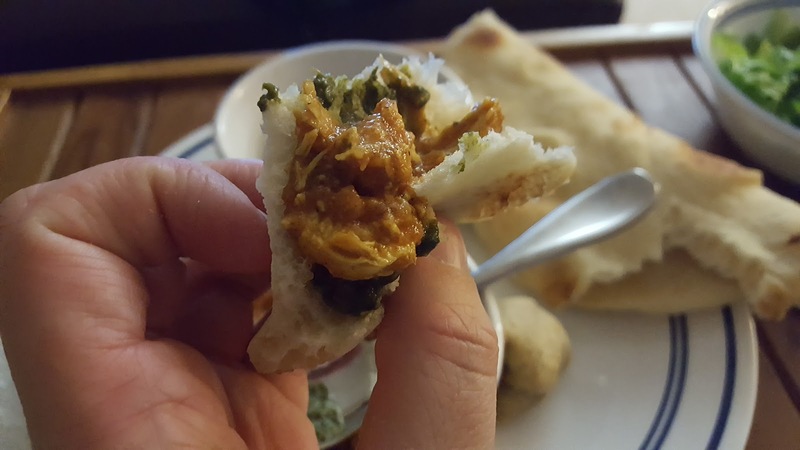 This homemade curried chicken dinner couldn't be any easier!